Another Tuesday and am getting ready to go to our usual monthly Development Partners for Nutrition meeting. My days are always packed with meetings and discussions on how we development partners can improve nutrition in the country. This has been my schedule for months now, meetings, reports reviewing, field trips and more meetings. At the end of the day, am satisfied that my goal is achieved and I have fairly contributed to scale up nutrition in my country. I still remember the day I was packing and getting ready to attend the African Nutrition Leadership program (ANLP). In my mind I was unsure what to expect and a bit concerned that I will miss out my meetings and nutrition discussions with my fellow donors. I recall one of my colleagues asking “what will you be doing in all ten days of ANLP? It’s a waste of time for just a leadership program”- she said. I nodded and agreed that the days seem to be a lot for such a program.….. We were very wrong! ANLP transformed my thinking and molded me to a leader I have always desired to be. Ten days of the program made me reflect If I was effectively using my leadership skills to impact lives of people in need and bring change to my organization, society and country. ANLP reminded me that working within the donor community, attend numerous meetings and workshops, contribute to different policy dialogues and even being known as a vibrant young nutritionist is in vail if all the knowledge, experience and pool of facts and information are not positively impact my community. Our line of emphasis at ANLP is to Lead from Where You Stand -and I dwell in this line every single day. I am learning the power of playing my part effectively as a leader without pointing fingers and blame others (external Locus of control) when systems are not functioning as planned. I am further learning that Change Starts by Me, Yes ME and I have no excuse for failing to initiate and make a change no matter how small it is. To my fellow leaders in nutrition, it is a right time to ask ourselves if we are the kind of leaders who facilitate positive changes in our continents and if at all our leadership skills and experiences are commendably used to save millions of deaths resulted from malnutrition. Ask me again what I was doing at ANLP in 10 days and I will simply answer- I was getting TRANSFORMED! 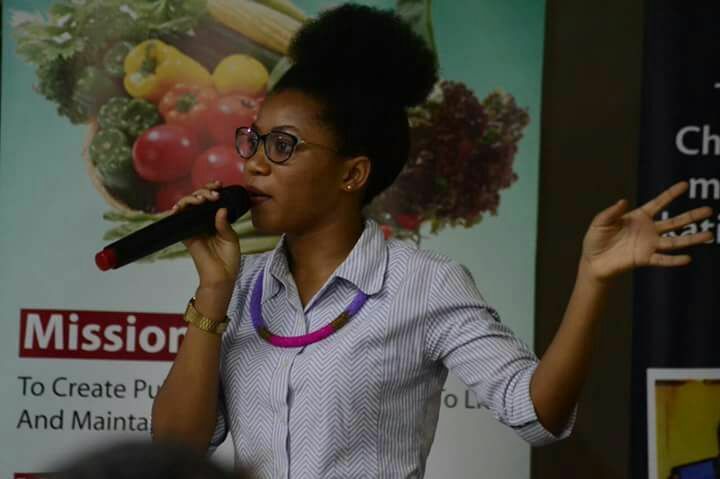 About the Author: Neema Shosho is a Nutrition Advisor for the Embassy of Ireland in Tanzania and the co-convener of SUN Donor Network Group. She has experience in managing nutrition interventions from both donor and government side. She has a keen passion for using innovative ideas to solve malnutrition challenges within the community. Nice post from Neema, it says it all with minimal words. The experience is what every leader should desire to have.